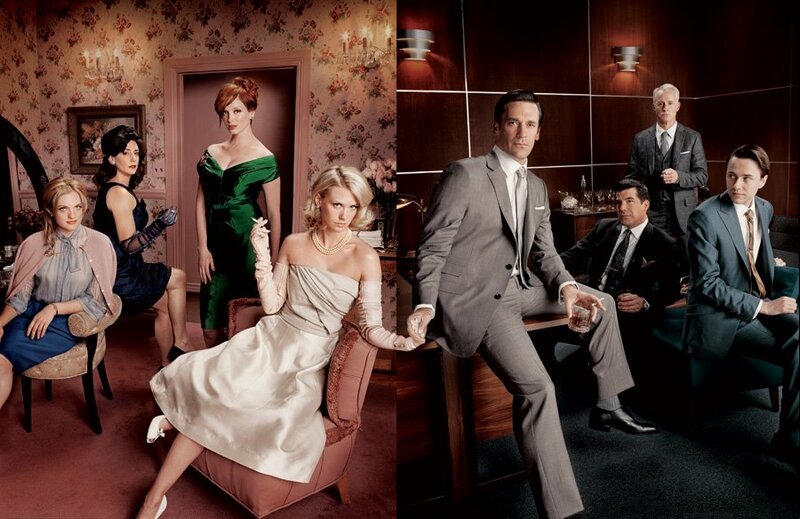 Mad Men is set in the 1960's at the fictional Sterling Cooper advertising agency on Madison Avenue in New York City. 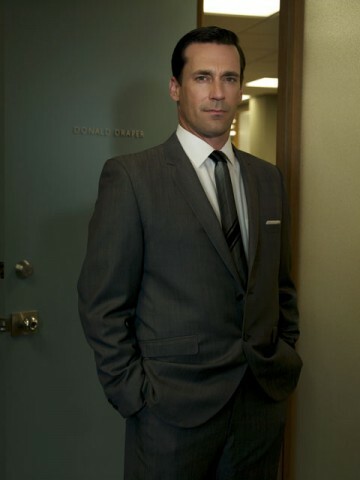 The show centers on Don Draper (played by Jon Hamm), creative director at Sterling Cooper, as well as those in his life in and out of the office. It also depicts the changing social mores of 1960's America. The style and design of the show is beautiful. 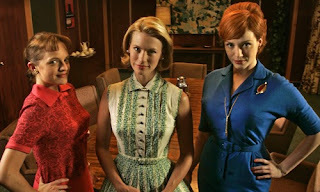 The costume designer Jamie Bryant is amazing. The women's dresses are drop dead gorgeous down to the last minute detail. Watching the show makes me want to wear dresses, aprons and heels daily. If only I had enough money to buy a fabulous vintage wardrobe. And patience to put on all that clothing every morning. And smaller feet that would fit into cute heels... Ahem, I DIGRESS. 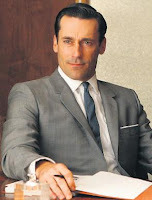 The cast is incredibly talented and each is suited just right for his or her role. The development of the characters and story lines are constantly evolving. It's intriguing seeing how things have changed since the 1960's not only with women's rights but with marriage, child-rearing, race, careers, pregnancy and family. The events and products that were popular and happening then - Kennedy vs. Nixon, the Playtex Jackie or Marilyn campaign, the Civil Rights Movement, etc. - are really interesting to see when we know from history what's going to happen, but maybe not exactly how. There's more than just these three but they're my favorites. They're incredibly beautiful, sophisticated and stylish. I also love that they're not twigs. They're real women - we see them in their daily activities, with their children, husbands, families - struggling to find their place in the world. It's really good! We got into it after it had already started so we played catch up on Netflix. We get AMC now which I love because we can watch the current episodes.